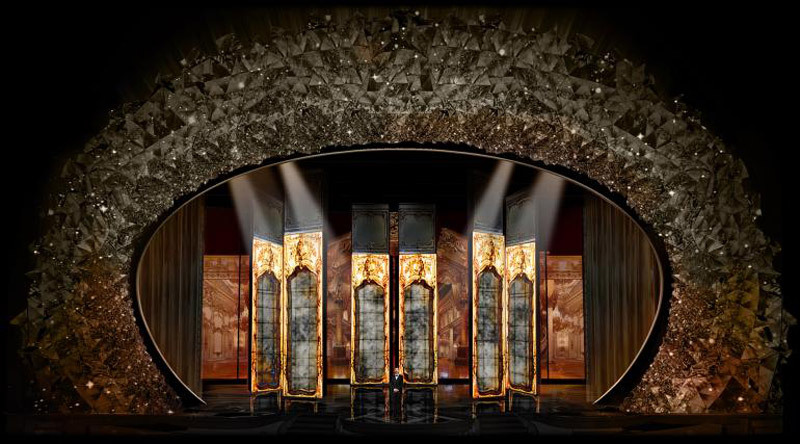 For the sixth year in a row, scenic designer Derek McLane has been called upon by the Academy of Motion Picture Arts and Sciences to design the stage for Hollywood’s biggest celebration. 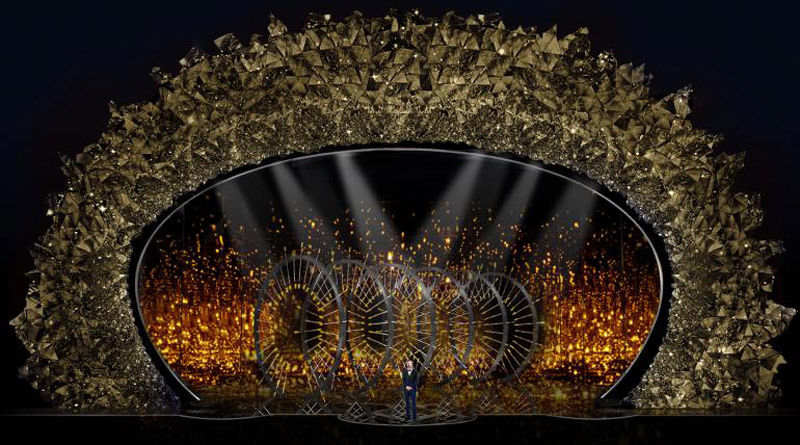 This year’s Oscar stage will glow with 45 million Swarovski Crystals. 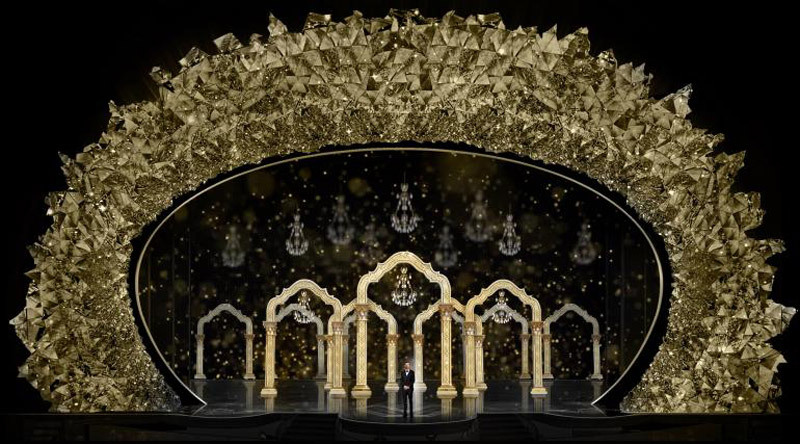 This year’s ceremony is particularly notable – it’s the 90th anniversary – so McLane has created half a million Swarovski crystals on the Dolby Theater stage for every year the Oscars have been presented. The upper, arched structure surrounding the stage features more than 45 million crystals mixed in with octagonal tiles, metal, and mirrored materials. 32 people were needed to bring this piece to life, which weighs 15,500 pounds and took over 3,250 hours to complete. Together, the structure covers roughly 1,750-square-feet of space, which is epic. McLane said that the design incorporates various eras of film history and is meant to evoke a sense of Hollywood glamor.